As businesses become more data driven, the IT environment plays a more critical role in ensuring effective data management in supporting company operations. As information volume increases, so do data center requirements. Technology and storage capacity, therefore, must keep pace with growing volumes of data as well as new analytics demands. Rather than make new investments in on-premise software and hardware, companies can move to a cloud infrastructure that provides a cost-effective and scalable solution to adding new applications and storage capacity as demands grow. Companies with multiple offices can consolidate and centralize the IT infrastructure for more centralized control and faster application deployment. 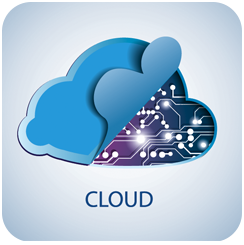 Cloud computing also makes available the latest applications previously only affordable by larger businesses. And as the cloud provider is responsible for security, maintenance, and updates, your IT department can concentrate on core business activities rather than manage a large computing environment. Even with all its potential benefits, transforming the IT infrastructure to the cloud can be a big step for many companies, especially those unfamiliar with the environment and different service options. While you may not be ready to create an entirely virtual IT environment, the cloud can serve you in a variety of ways. Our cloud service team can help you create an optimum cloud computing configuration that best addresses your company’s infrastructure processes and application requirements. Having worked with different sized enterprises in various industries, we understand differing needs for application processes, security, and privacy. Based on your desired business outcomes and current challenges, we can identify the right cloud platform, provider and service contract to support your present and future storage and processing requirements. Our team works with you through the entire migration process from planning through to implementation to ensure a successful implementation without significant disruption to current operations. Ongoing support ensures cloud solutions continue to meet changing business needs. Implementing the ServiceNow® Cloud Provisioning application, our IT specialists deliver and manage virtual assets from creation to retirement. Using this resource, we can quickly provision public and private clouds in a manageable fashion, increase enterprise innovation and agility, enhance end-user satisfaction and productivity, and optimze the value of the cloud to the enterprise.